Although you’re free to establish discretionary time off policies that best suit your business, you must provide certain leaves of absence under federal and/or state law. 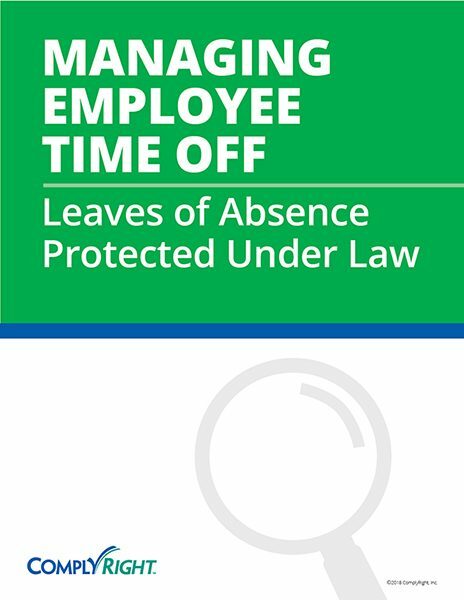 You must permit these legally protected leaves of absence, even if they’re inconsistent with your policies or attendance rules. Let’s take a closer look at the primary types of leave that may apply to your business.